Your wedding is a glorious event and you want to share it with all your loved ones, right? Then why leave behind your four-legged love. 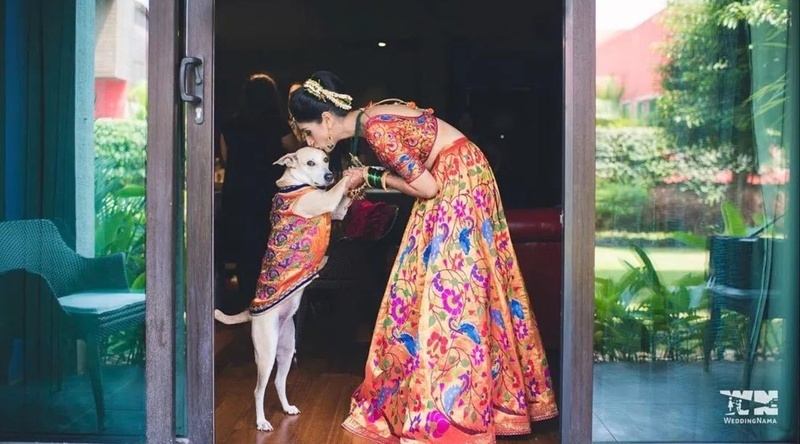 We are totally in awe of these pictures of the brides with their cute little doggies! This cute labrador in a playful mood can’t contain its excitement. Makes our hearts go awwwww! Seeing this bride holding her doggie tight is melting our hearts! It surely makes for a charming wedding photograph. What a cutie! This dashing pup sits on the bride’s lap, dressed to blend right with her wedding attire and steal the show!